If tragedy occurs, you must consult the best New Orleans medical malpractice lawyer. 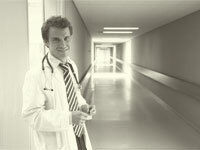 Almost everyone will need to seek the advice and treatment of a medical professional at some point in life. It can be for something as simple as a common cold or as complicated as a terminal illness. In many cases a prescription medication may be all that is needed, while in other cases a surgery must be scheduled. No matter the reason for a person's need to consult a physician or other healthcare professional, we all expect to receive top-shelf treatment. Unfortunately, medical malpractice is shockingly common, and it comes in a variety of forms. In Louisiana, the great Louisiana malpractice attorneys know the laws and the pitfalls that could occur in every case. Medical malpractice can include the failure to diagnose an illness, a misdiagnosis, an inaccurate prescription, or, in the most serious cases, a surgical error. When medical malpractice occurs, the potential for the original medical condition to compound and become more serious is very real. If a doctor fails to diagnose an illness when a person seeks treatment, the condition may progress to the point that it becomes untreatable. If a medical condition is misdiagnosed and healthcare professionals treat a patient incorrectly, dangerous and unexpected results are a possibility. Errors involving prescription drugs can expose patients to serious side effects that could cause new medical conditions that can rise to the level of emergencies. And surgical errors - the types of errors we have all heard about in news stories - can be devastating. A doctor might leave an item inside a patient, or perhaps perform the surgery on the wrong body part. These are the types of errors that are chilling to think about, and when surgical errors occur a patient may even face the prospect of death as a result. One of the most concerning aspects of medical malpractice is that sometimes patients don't immediately know that it has occurred. It may only be later on that a patient experiences the negative consequences associated with medical malpractice. When the realization that medical malpractice has occurred does become clear, it becomes important to consider the legal options quickly. If medical malpractice claims are not brought in time they could be barred by time constraints. These claims are subject to what is known as a "statute of limitations," and claims that are not brought in time will not be allowed to proceed. However, when a medical malpractice claim is filed in time, these types of cases can be quite complex. After all, the judges who hear these cases are trained on the law, not medicine. Nevertheless, patients who have suffered from medical malpractice will need to proceed all the same. These cases involve the need for expert testimony on a variety of topics, which can include the applicable standard of care in the case in question and whether or not the medical professional involved breached that standard. These expert witnesses are also typically used to make seemingly complex matters of medicine and surgery understandable for the common judge, lawyer, and jury member. When a person is successful in pursuing a medical malpractice claim, the financial compensation that is awarded is typically used to seek even more medical treatment to correct the error. The goal of financial compensation is to make the person "whole" again, although that may not even be a realistic expectation if the error was especially egregious. But even when patients are successful, they may be surprised to learn that the medical professional who was responsible for the medical malpractice may still be able to continue in the profession. A doctor will not automatically be stripped of his medical license. However, each individual patient who is successful in a medical malpractice claim will likely have the satisfaction of holding the medical professional accountable in the lawsuit.